Do you have ICE DAMS or a WET, MOLDY ATTIC? Is your attic sweltering in the Summer? Try Our Attic Ventilation Solutions Today! 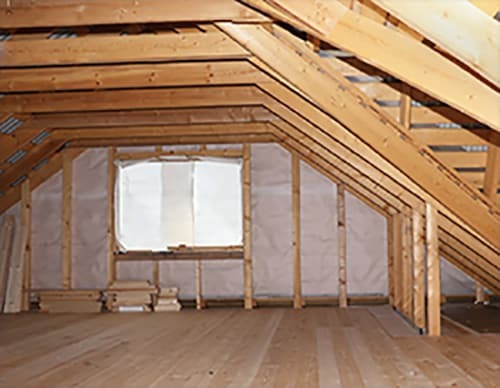 Poor ventilation in your attic can cause mold and humidity, ice dams, and excess attic heat. Your existing ventilation may not be adequate. We have over 25 year of experience designing and installing attic ventilation systems to fit your home. Our state-of-the-art systems use no electricity or fossil fuels. They cost nothing to operate, reduce your utility bills, and make your home healthier and more comfortable. In all seasons, from last year’s icy winter with its ice dams to the hottest summer which can heat your attic and your home, VentMASTER can help! Watch this short presentation to find out how important good attic ventilation really is to protect your home*. This YouTube video shows why we use this specific ridge vent in all our jobs that require them. … I just wanted to let you know that the ventilation improvements have made a HUGE difference!